Synopsis: Cal, a wayward Salinas Valley youth, vies for the affection of his hardened father with his favoured brother, Aron. Did You Know? 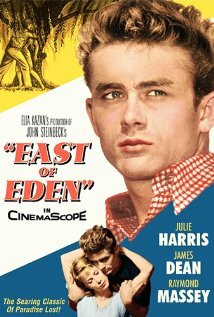 James Dean’s nomination marked the first official posthumous nomination for acting in Academy history. Jeanne Eagels was posthumously nominated for Best Actress in 1929 for her role in The Letter, but no official nominees had been announced that year.